The Executive Masters in Health Care Administration (EMHCA) program is offered in partnership with the University of Houston-Clear Lake and the University of North Carolina at Chapel Hill. Upon graduation, participants will be equipped with the tools to critically examine and evaluate issues and trends in the healthcare industry. Ultimately, these individuals will be able to effectively respond to the dynamic and changing healthcare industry at both the national and international level. 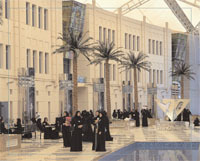 The EMHCA is delivered over a period of 24 months at Zayed University in Abu Dhabi and/or Dubai. Admission is open to males and females of all nationalities. This programme is designed for mature and motivated individuals with a medical or business background. Individuals who are currently, or who plan to be, associated with the local health care sector in the United Arab Emirates or the international health care industry would be the ideal candidate for this programme. Specifically, this programme will benefit medical doctors who are currently managing health care units or aspiring to do so, business majors who are working in the health care system, and government officials associated with ministries, departments, agencies, and authorities responsible for supervising health care systems. have earned a four-year baccalaureate degree with a GPA of 2.5 or higher from an accredited university. demonstrate sufficient English proficiency to manage a challenging, fast-paced program. This programme begins with the participation in a intensive one-day orientation seminar. The orientation offers a number of workshops to introduce students to the program, during which students are introduced to Blackboard (virtual classroom software), case study and analysis, library resources, and the writing of reports and reference citations. 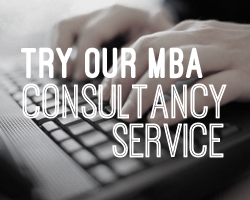 The EMHCA is designed to prepare graduate students for senior managerial and leadership roles in their organizations. The curriculum is firmly grounded in the functional areas of the business enterprise, with a focus on the healthcare industry. The EMHCA curriculum consists of 12 six and one-half week courses for a total of 36 credits for the Executive Masters degree. Learn more about the programme content here. The program cost of the EMHCA is AED 128,000, however, academic merit-based scholarships are offered.